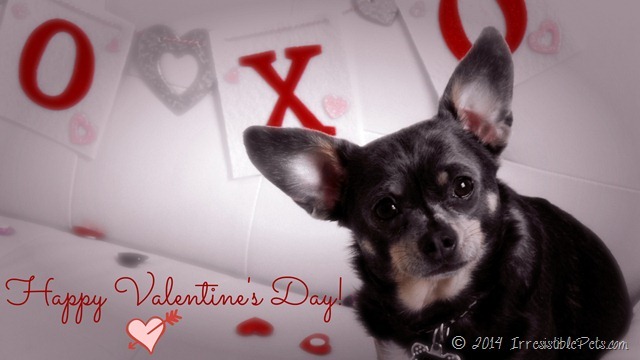 Happy Valentine’s Day from Chuy Chihuahua! 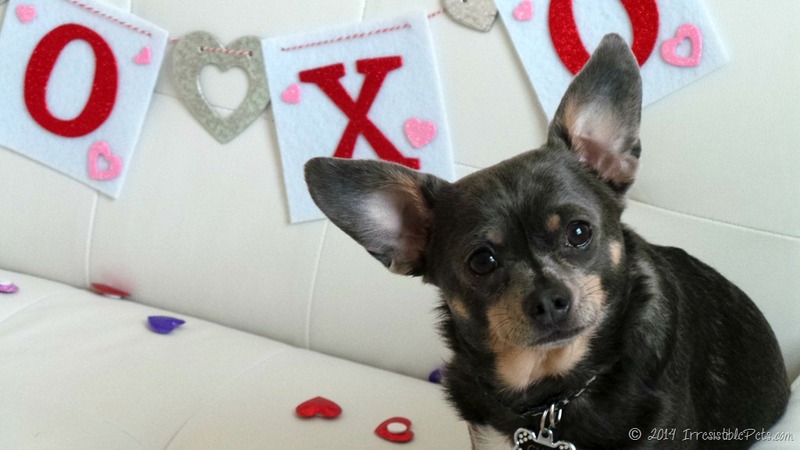 Chuy and I would like to wish you a Happy Valentine’s Day! What are you doing for your Valentine this year? 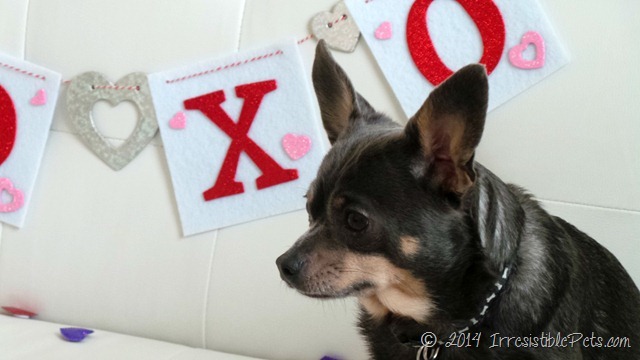 Be sure to check out some of our Valentine’s Day ideas to make your pet’s day irresistible! I love your blog! and your little Chuy is adorable!! Did you make the valentine banner in the pic? 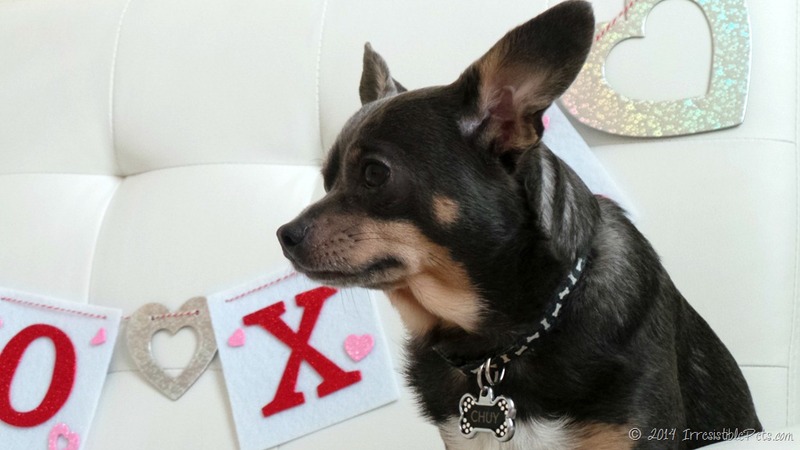 A big XOX to you too! Too cute Chuy! Happy Valentine’s Day to you both! 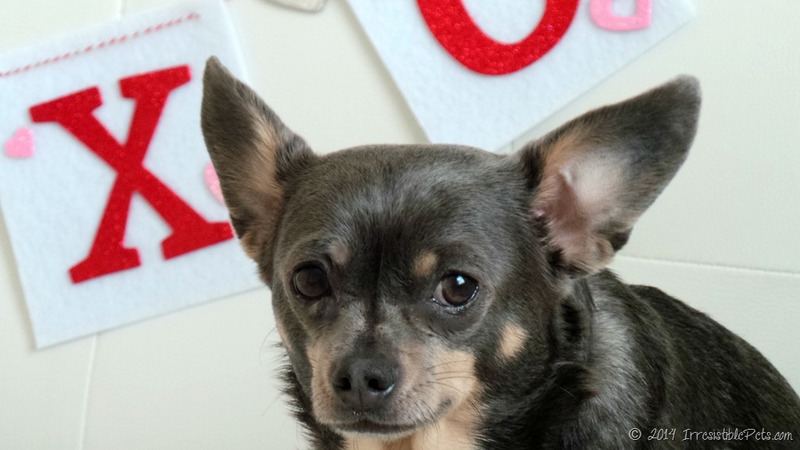 Aw, Chuy…you are so cute. 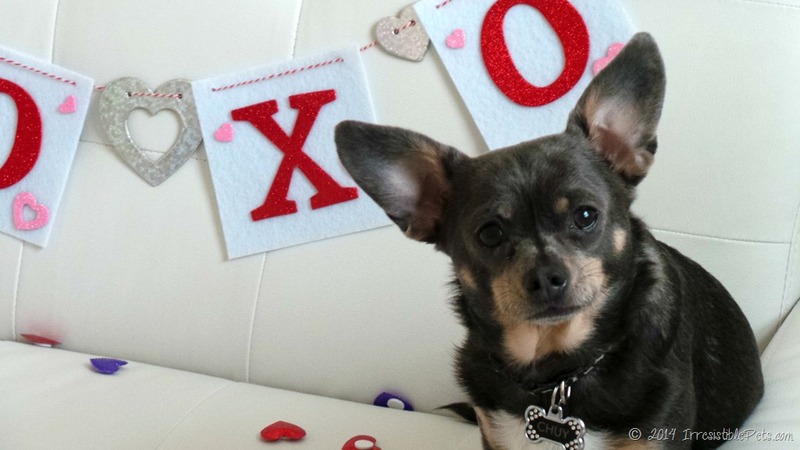 You make the perfect Valentine! Lookin’ good, Chuy! 🙂 Niles got some V Day gluten free and Vegan dog treats! We also might check out a local attraction featuring coral sculptures tomorrow.